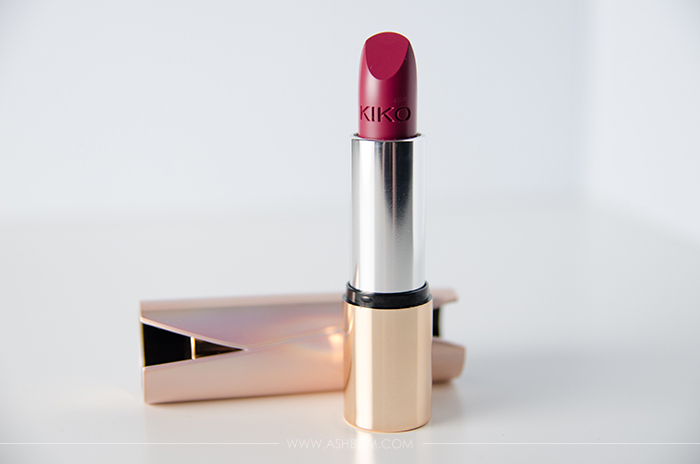 I can hardly remember the amount of times I’ve heard someone rave about Kiko Milano, a super affordable brand with great quality products. But sadly at the time they didn’t offer shipping to the US. So I was stuck admiring all the beautiful things on a computer screen. Then randomly a few weeks ago I checked their website and discovered they had just started shipping here that week! 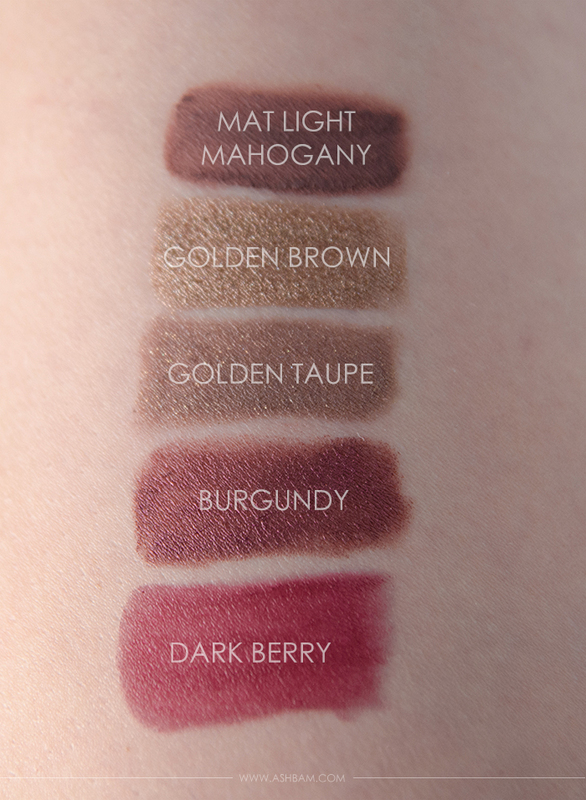 So I started swatch searching and trying to decide what exactly I should get. I’ve had their shadow sticks on my wishlist for a while so I picked up a few of those, then decided on a cream shadow and of course a lipstick. I always have to try a lipstick, or two. 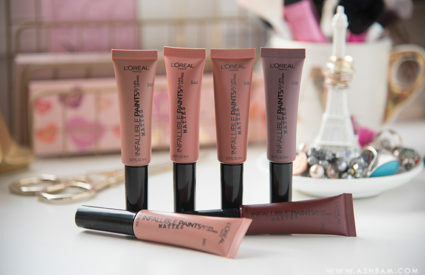 I simply love the Long Lasting Stick Eyeshadows. 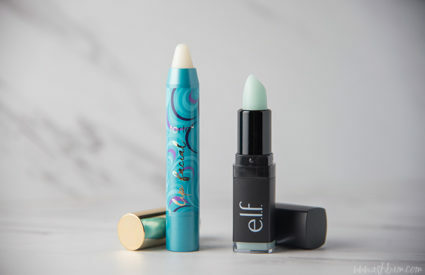 They’re creamy, blend out so nicely and almost feel cooling when you apply them. Thanks to my oily eyelids I always have to use a primer and it’s a must with these for sure. My favorite primer by Lorac actually didn’t help these much. It wasn’t until I used the Milani eyeshadow primer that they lasted all throughout the day. But if you don’t tend to have oily eyelids that shouldn’t be a problem! I think my favorite of the three is Golden Brown, a golden metallic shimmer, which supposedly is a dupe for By Terry’s Bronze Moon at a fraction of the price. I did receive it broken, it was stuck to the lid, but it still works fine. It’s a great everyday shade for me. Another great color for everyday is Golden Taupe, a cooler taupe shade with gold shimmer throughout. The last one I got is Burgundy, a beautiful deep reddish purple that is almost iridescent in the light and sadly a little harder to wear. Even with the Milani primer I find it does crease some near the end of the day. But the color is too beautiful to pass up! These were on sale for $7.90 each, but usually cost $12. The Cream Crush Lasting Color Eyeshadow isn’t anything ground breaking, but I think it’ll be a good base for other shades. I got Mat Light Mahogany, which leans a bit more brown on the lids than red. Again using a primer keeps this from creasing, but not completely. 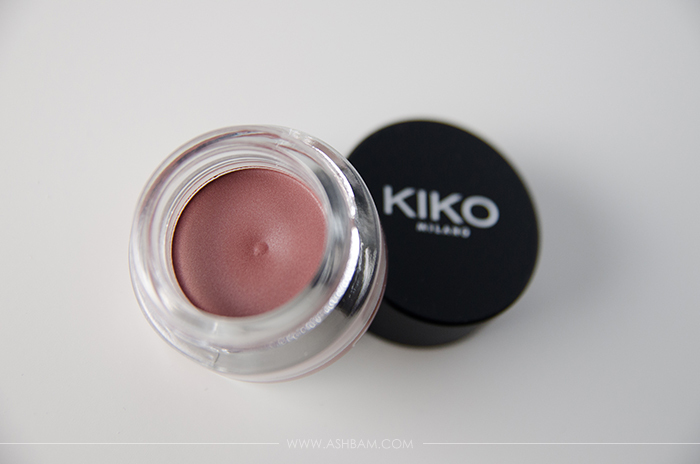 It has a cream to powder texture when you put it on the skin which I really do like. 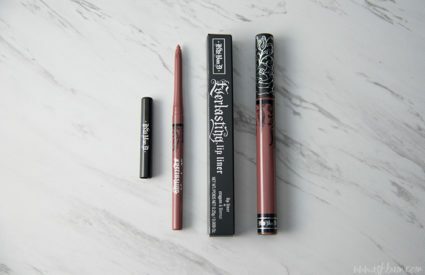 My favorite way to use this is to apply a thin layer and blend it out using a warm brown powder shadow in the crease. The cream shadow costs $14.00. After much searching for lipstick swatches I decided on the Velvet Mat Lipstick in Dark Berry, a lovely deep raspberry shade with a hint of purple in it as well. 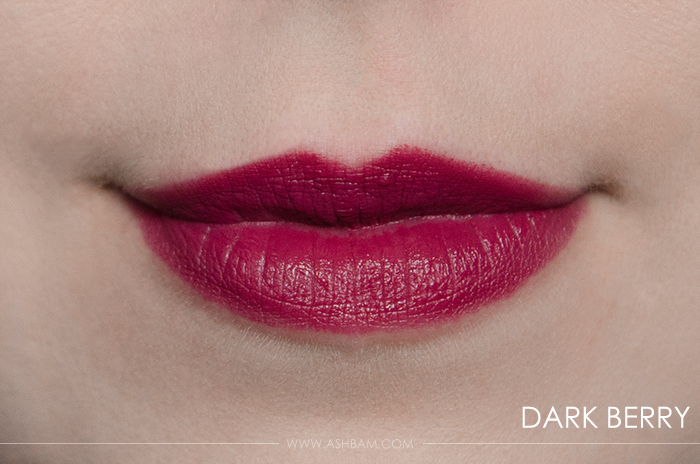 The formula definitely leans more satin than matte, but it applied smoothly to the lips, not dragging at all. It wears evenly throughout the day and I was left with pretty much only a stain after dinner. The packaging is gorgeous and to open it you have to push the top of the tube down for it to pop out of the lid. (Hoping that made some sense!) And the name on the side of the actual lipstick is another great touch, especially at the price point. The lipsticks are $9.00 each. I will without a doubt be picking up more from Kiko in the future. 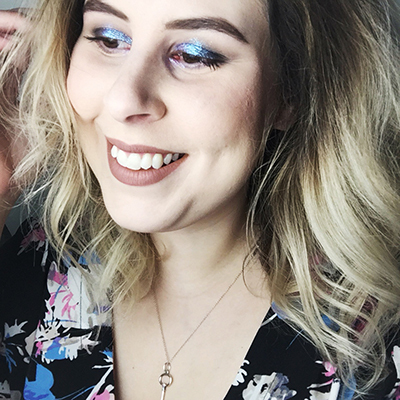 The products are fantastic for the price and the shadow sticks are definitely the highlight for me. 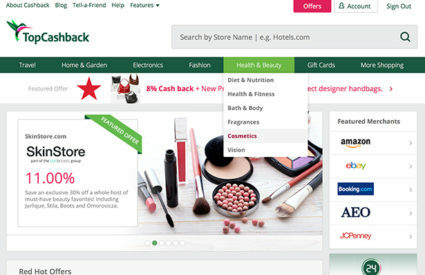 They offer free shipping for orders over $35 and make sure to check if they’re have a coupon on their Facebook page! 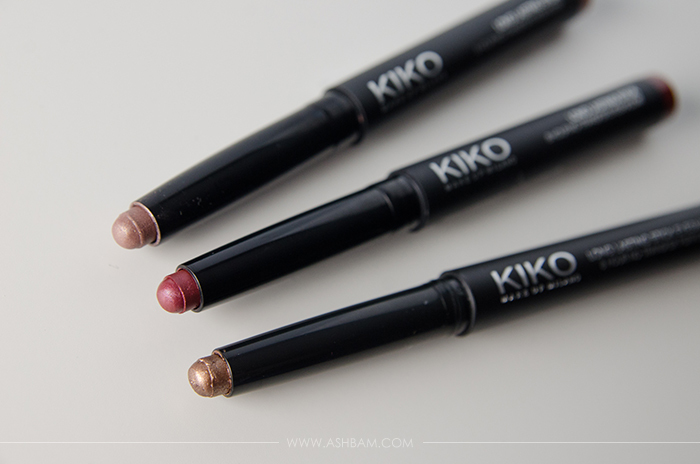 Have you had a chance to try anything from Kiko?